including Greek, standard English letters and numbers. Designed for you anti-establishment types, this is the black sheep of the Greek Collegiate Block font. 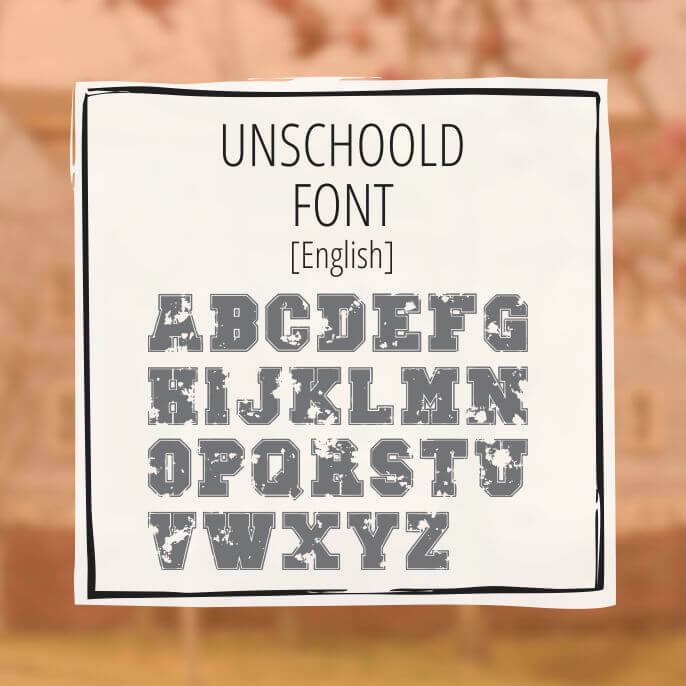 The Unschooled font is a grungy distressed Greek font made for anyone that isn’t feeling like fitting into the crowd. It’s also perfect if you want an already aged looking Greek font to incorporate into an aged design piece. 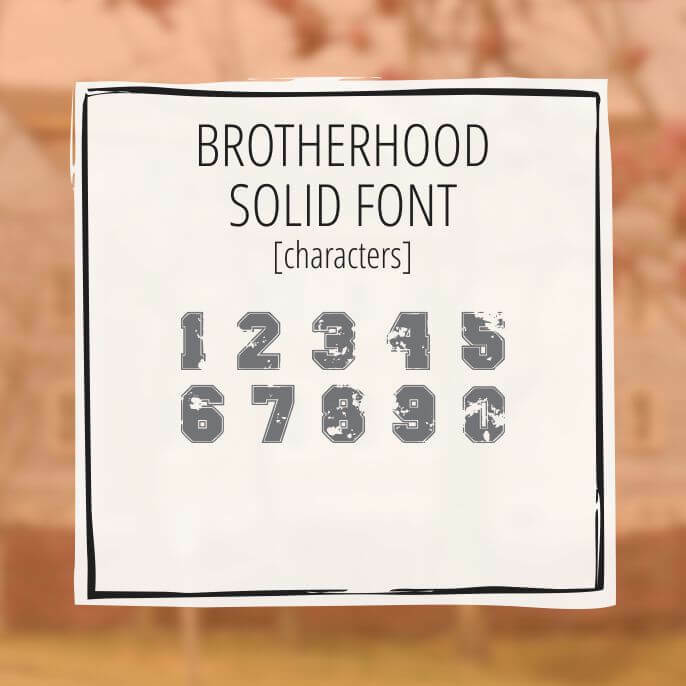 This font has 60 characters including numbers, 24 Greek letters and 26 uppercase English letters.